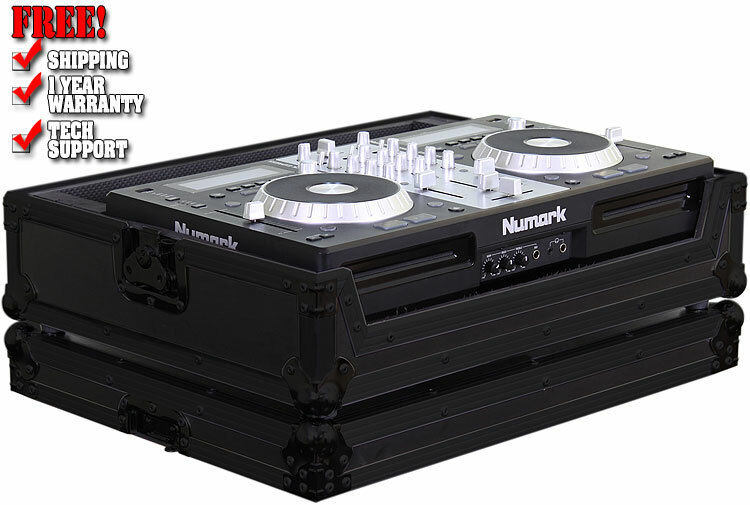 Protect your new Numark Mixdeck Express in an Odyssey FRMIXDECKEXBL case. It's specifically made for the Numark Mixdeck DJ controller built with Serato Intro included, and features a stylish V-Cut removable panel allowing for easy access to the front controls and headphone/mic jacks. A spacious ventilation pit under the controller is ideal for storing cables and other accessories. You're free to express your DJ skills from music gig to music gig with the confidence that your gear is well protected by an Odyssey case. Flight Ready Glide Style versions (FRGSMIXDECKEX & FRGSMIXDECKBL)and a standard colored Flight Ready version (FRMIXDECKEX) also available. Approximate Shipping dimensions (exterior): 24" x 8.75" x 18.5"